Saddle up and get yourself down to Haslington Cricket Club for the Race Night on Saturday, April 14. With more than 200 players a trip to the Nationals costs the organisation around £3,000 each year. 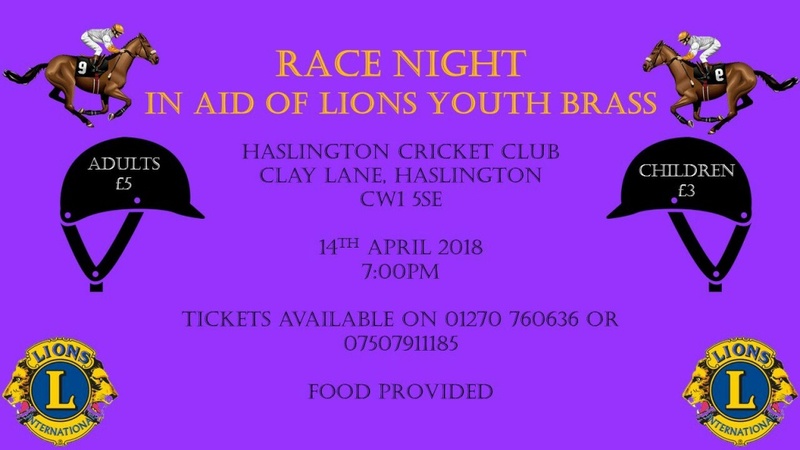 To help offset some of the costs and to have a good social get together Lions Youth Brass is holding the race night. The event is open to everyone but under 18s must be accompanied by an adult. There will be a raffle on the night and any donations for prizes will be welcomed. Starting at 7pm on Saturday, April 14, the first race will begin at 7.30pm. Tickets cost £5 for adults, £3 for children and food will be provided. For more information contact Jane on 01270 760 636 or Nigel on 07507911185.